Varun Sanjay Gandhi is an Indian politician. He is a member of Parliament for Lok Sabha from the Sultanpur constituency. He is also member of Bharatiya Janata Party and was inducted into Rajnath Singh's team in March 2012 as General Secretary. 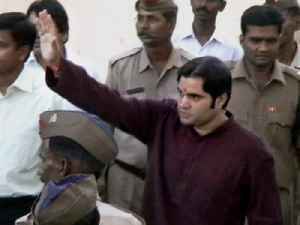 Varun Gandhi is a member of the Nehru-Gandhi family.